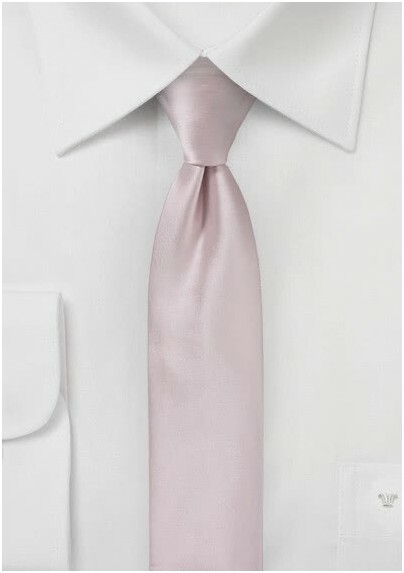 If you are looking for a necktie that is convenient is design, affordable in price, and stunning in appearance, this piece will be perfect for you. 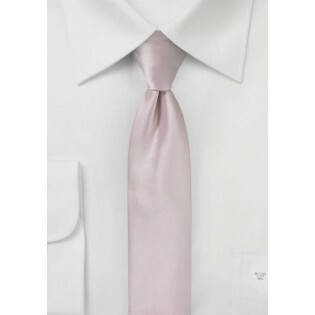 Featuring a soft blush colored textile that is handmade out of pure microfiber, now in an exciting new skinny tie. This combination of elements will ensure a classic color and texture matched with a very contemporary design! Fabric: Satin Finish Microfiber | Length: 58", Skinny Width: 2.35"